Increase your sales and convenience with a spoke-wheel cart. Carts provide easier access, better merchandising and great mobility. 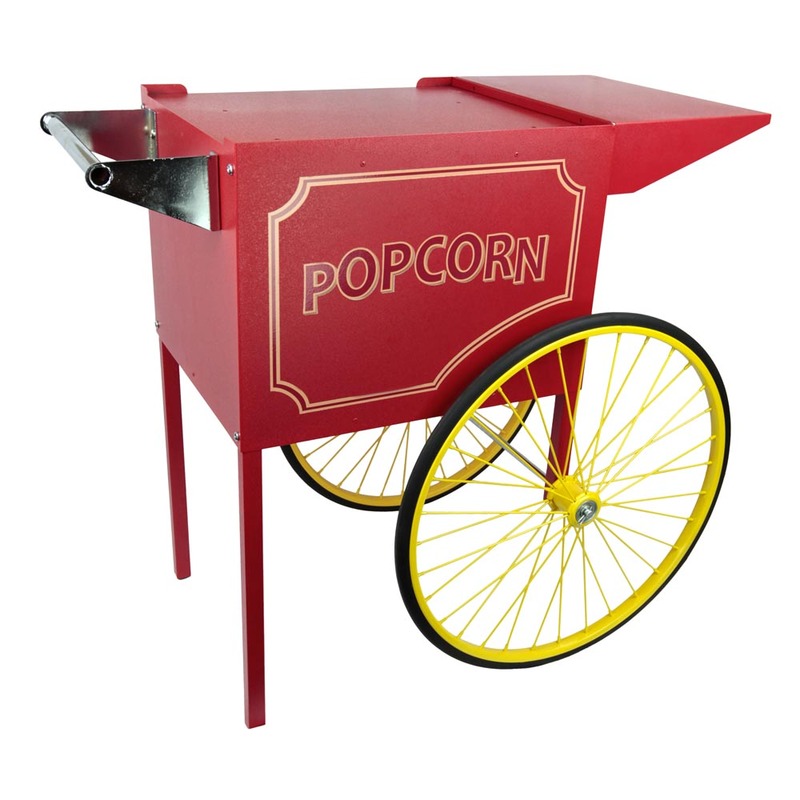 Paragon's sturdy, all-steel construction cart – custom designed for 8 ounce Rent-A-Pop popcorn machines – is finished with a chip resistant coating. Also features convenient built-in storage space and breaks down easily for storage and transportation.